As a resident of the Houston area, Hurricane Harvey has made an impression on me. We take storms of this caliber very seriously. So seriously that schools close for multiple days and churches cancel Sunday worship services. We are better safe than sorry. Flooding and dangerous roadways are the biggest concern. With so many churches canceling worship services on Sunday, there have been several devotions made available for home use. Here is a list of litanies, prayers, and devotions I found for use in times of inclement weather. Feel free to share others that you may know. Pray: O God, with all your faithful followers of every age, we praise you, the rock of our life. Be our strong foundation and form us into the body of your Son, that we may gladly minister to all the world, through Jesus Christ, our Savior and Lord. Pray for the church, the world, your family, your congregation, the needy, the dearly departed. Bless one another and share the Peace. On Easter Sunday at Faith we only offered one style of worship in our sanctuary services (we offer a Chinese language service in our gym). This was a change from how we normally do Sunday mornings. Normally in the sanctuary we have one Heritage service (organ and choir) and one Gathering service (band-led). 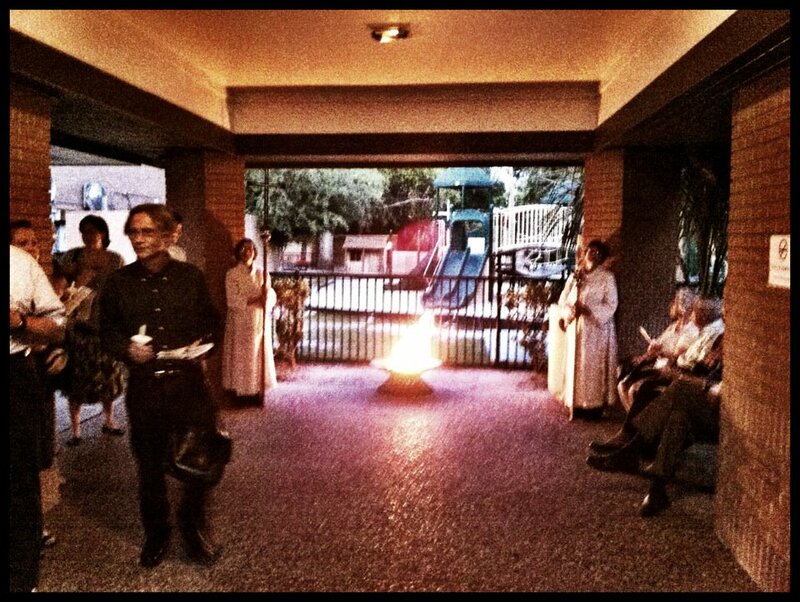 After noticing the low attendance at our Gathering-style Christmas Eve service last year, we decided to experiment. 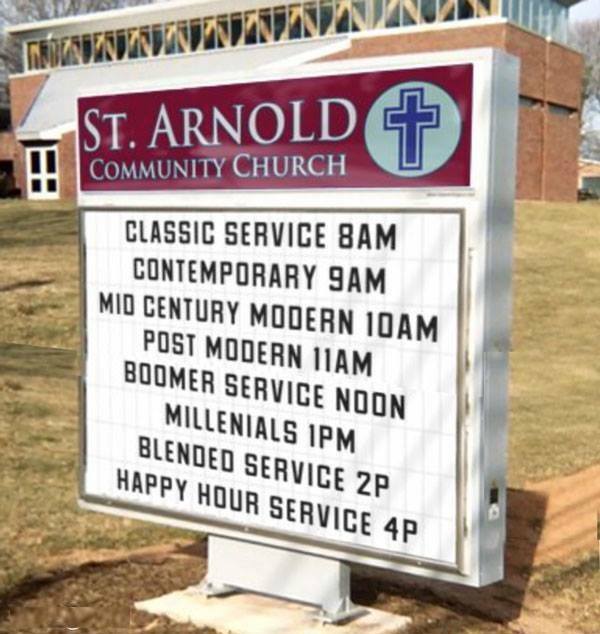 For Easter, we only offered the Heritage style worship service. Why? Because our hunch was that people think Easter (and Christmas) should feel like “church.” Despite what hundreds of thousands of people who go to big-box churches might lead us to believe, in our context, for church to feel like “church” it needs the historical flavors of our tradition. That would be organ, choir, vestments, formality, liturgy, and hymns. This is not new, but the continuation of a documented trend. And here. I’ve been reading a new book about the emergence of contemporary worship in the church (for an upcoming book review in the ALCM CrossAccent journal). 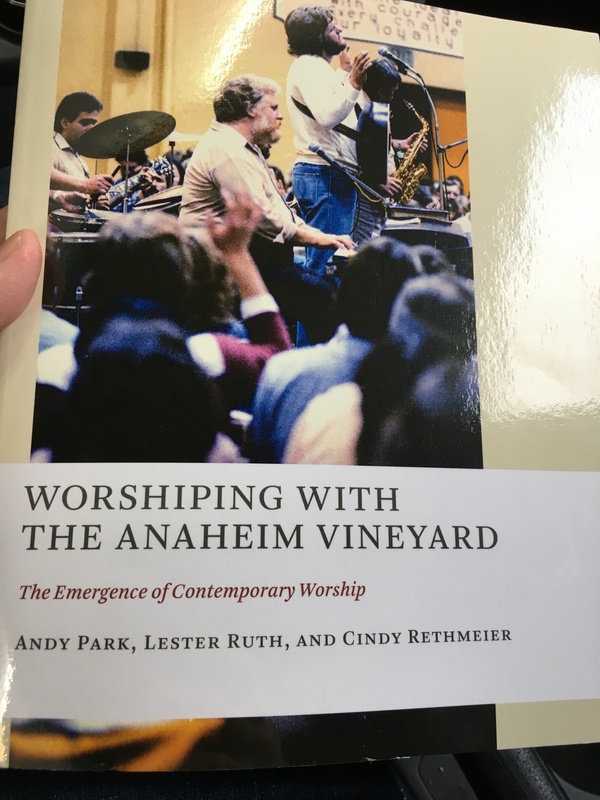 The book chronicles the Anaheim Vineyard church as it swelled in growth through the 1970s and 1980s. Many of the components that are considered today to be the backbone of contemporary worship were synthesized at this church (a continuous set of worship songs; intimate, God-directed language; openness to God through music, etc.). As I read the book, the one thing I am struck by is what many mainline churches have left by the wayside in their adoption of contemporary worship practices: the work of the Holy Spirit. The Anaheim Vineyard was a pentecostal-ish church with the gifts of the Holy Spirit on display in their worship. Speaking in tongues, prophetic words, healings, and other charismatic signs were regular parts of their worship. Participants would show up to church an hour before the service in expectation for God to move. I’m left wondering if we are missing something? 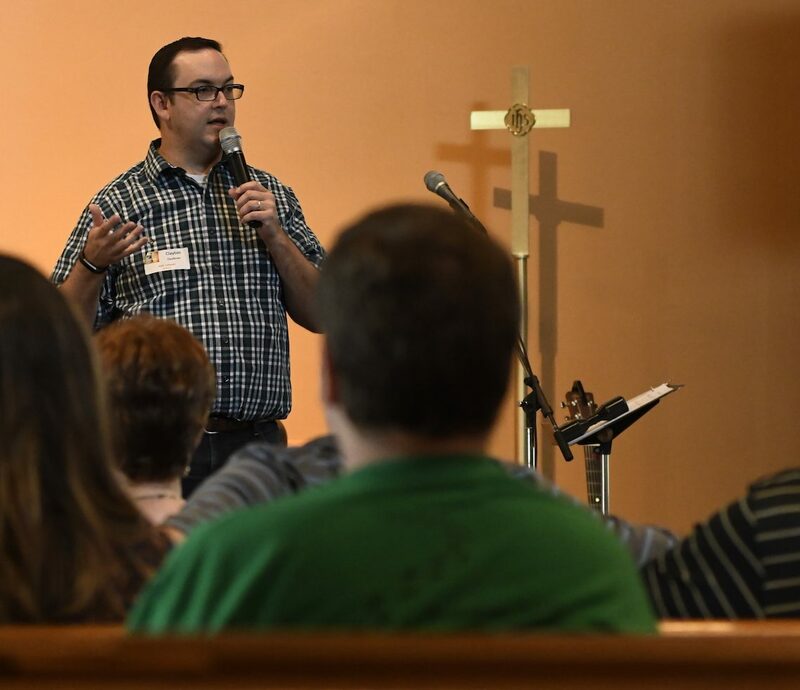 What is the inner power of contemporary worship? What is the inner power of any worship? If the church is not filled with the breath of God’s Spirit as it worships, regardless of the style, there can be no inner power. Learn to Worship – I realize that stating a desire to learn to worship can sound bizarre coming from a professional church musician. Perhaps a better proposition would be that I desire for all my assumptions about worship to be challenged. Asking the right questions can peck away at our engrained assumptions about worship. Where is my understanding of worship one-dimensional when in reality it is three-dimensional? When am I distracted from truly worshiping in the midst of the assembly? Why don’t I make room for quiet and stillness? Where is God present when I assume God’s absence? How do I faithfully prepare my heart for worship before every assembly? Why do I suppose the living, breathing, moving God of heaven and earth is restricted to my preferences and tastes? What would a Sunday without music or speech look like? Where have adiaphora taken place of the central things? Renewing worship means asking critical questions about why our worship is the way it is. Learn to Feast – I have long felt that communion is more feast than funeral. Yet we more often than not connect the weekly Eucharist to Jesus’ last supper, betrayal, and subsequent execution. What about every other meal Jesus ate? What about the food with tax collectors, and the miraculously expanding fish and loaves, and the meal with two disciples at Emmaus, and the post-resurrection fish breakfast tacos? Jesus was doing something significant in reconstituting the Passover, no doubt. Christ is our Paschal Victim/Victor. But I think there is something important beneath it all: Jesus ate with people. Our celebrations around God’s table are connected to every meal Jesus ever ate – including the everlasting meal to come in God’s eternal Kingdom. What does the ritual action of feasting look like? How can communion become more feast than funeral? Learn to Converge – We are trapped by the need to clearly label and categorize our worship. Using worship as a tool to target a specific group of people produces consumers, not disciples. Instead of being preoccupied with the copyright date of the songs we sing (as if church music had an expiration date), we should be singing the best and broadest types of music from God’s people in all places and times. In doing so our worship becomes countercultural (perhaps counter to the surrounding culture, perhaps counter to the prevailing church culture). Liturgical action teaches us self-denial and humility, where the surrounding culture may teach us to get ahead and have it our way. 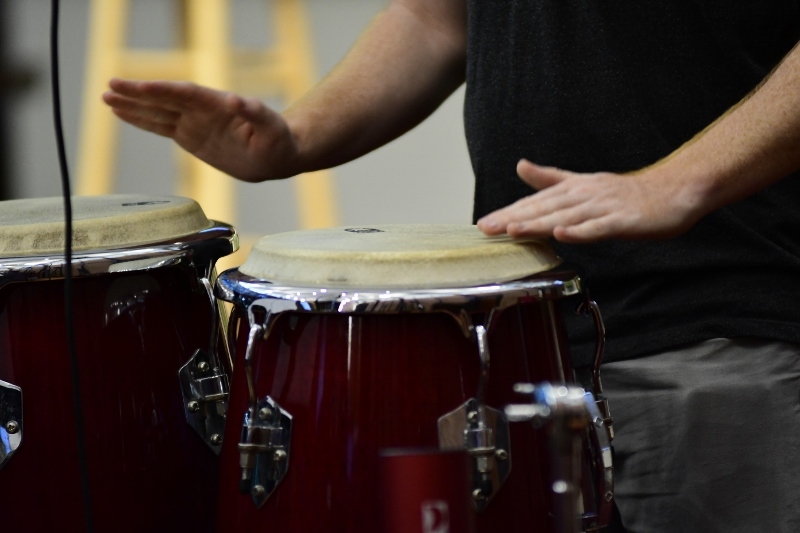 Through singing broad types of music we also become cross-cultural and can see God through the artistic offerings of cultures besides our own. This is the heart of convergent worship. Convergent worship is not a style. It is a mindset. Convergent worship is the coming together of the historic and the contemporary at every level of worship (not just the music) to create maximum opportunities for engaging worshipers with the presence of God. Convergent worship expresses a willingness to reopen all questions about worship and to learn from the entire worshipping community. Convergent worship has a healthy respect for the past while maintaining an absolute commitment to contemporary relevance. These are the areas where I see a need for growth in my own personal and corporate worship. 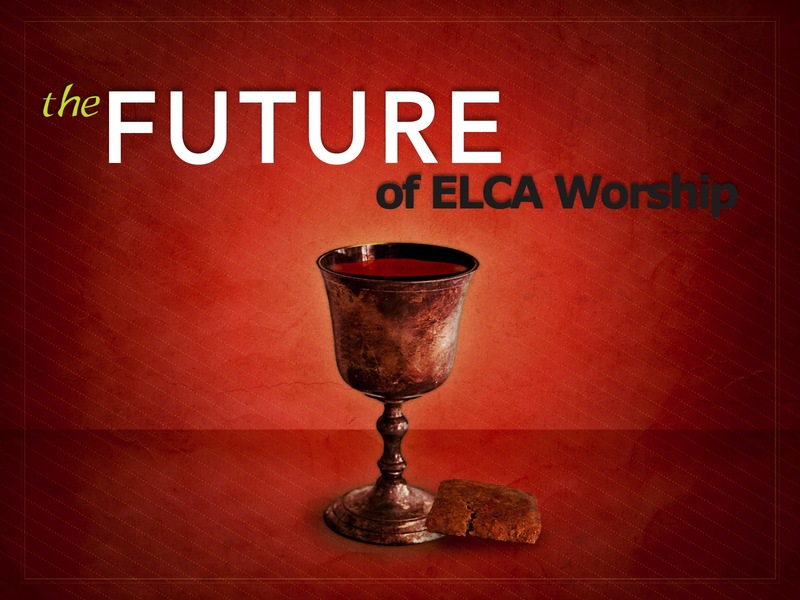 What about you – what does the future of worship look like to you? Worship is always being evaluated. Although it may be informal, everyone that is sent forth from an assembled worshiping body has evaluated that service in one way or another. Evaluations might be based on any number of things: the number of people in attendance, the length of the sermon, the pronunciation of the lector, or the number of flubbed notes by the musician. These questions are designed to move beyond surface-level evaluations into the deeper substance of worship. These questions help us consider things that are essential for all Christian worship, things that are faithful to a Lutheran heritage, and things that are biblically rooted. As a means of evaluation these questions can be applied to all types of worship regardless of time, contextual location, leadership, demographics, or style. After each statement, select the response that best applies to your church/service. This year I had the honor and privilege of being part of the team that designed and led worship for Synod Assembly. Every year the Gulf Coast Synod of the ELCA (gulfcoastsynod.org) gathers for business, worship, andfellowship. 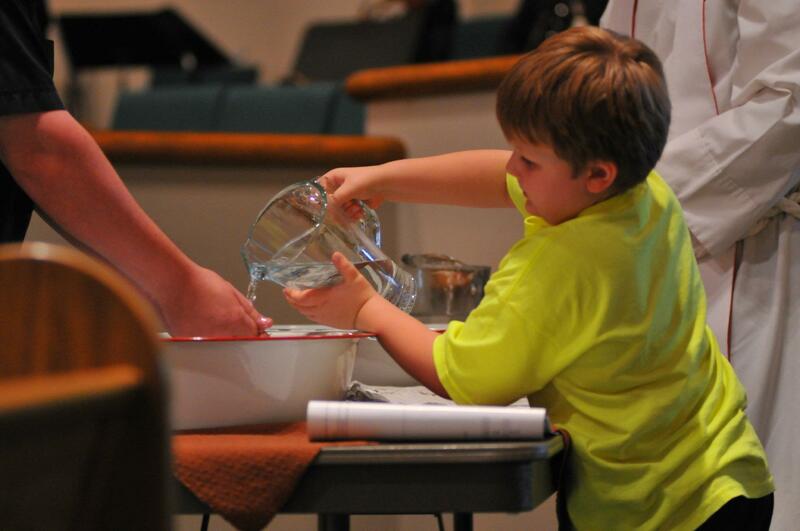 The Assembly was May 11-12, 2012 and it was hosted at Lakewood United Methodist Church in northwest Houston. The team that planned worship met for several months working on all the details that go into planning an event for the whole synod. We had to design the services (including selecting the Bible readings, songs, prayers, and other elements), create and edit the worship folders (which we can proudly say were all printed onsite in the Faith office), and recruit and instruct all the worship leaders and assistants for the services. The Synod Assembly this year was a huge success! The worship services were joyful celebrations of who God is and what God has done. It can be a challenge and stretch to create worship services for people coming from such a broad geographic context. How do you create a worship service for rural farmers in Brenham, suburban Houstonians, and urban folks from New Orleans, all assembled together at the same time? As the team discussed designing worship for such a diverse crowd, we found the Assembly to be the perfect place to celebrate what makes us each unique. As we sang each other’s songs, we realized we have much more in common than different. One of the highlights was the Holy Communion service on Friday evening. All of the worship services were designed in a convergent style: many diverse languages, music, and ritual actions converging together in a prayerful way. Friday’s service used the service music from Setting 7 in Evangelical Lutheran Worship, all sung in Spanish and led by a Mariachi Band! After the Hymn of the Day (using the organ), we participated in a Thomas Mass, which is a form of Lutheran worship originating from Helsinki, Finland. During the Thomas Mass, the people assembled were invited to move freely around the room and interact with several stations. They could serve and be served using a basin and towel for foot and hand washing, write intercessions for the world on a banner, create mosaic artwork for a communion paten, offer prayers of confession and receive forgiveness, receive anointing for healing, and leave an offering for the ELCA Malaria Campaign. We then celebrated the holy meal together around God’s table. This service was a beautiful picture of diversity and unity and I’m sure it will have a profound impact on me for years to come. Pictures from the Holy Communion service taken by Larry Bose. A complete sketch of the order of worship is below. Vigil of Easter at Faith Lutheran Church. This is the night when the new fire of Christ’s resurrection defeats death forever. Death no longer has dominion over him (or us).